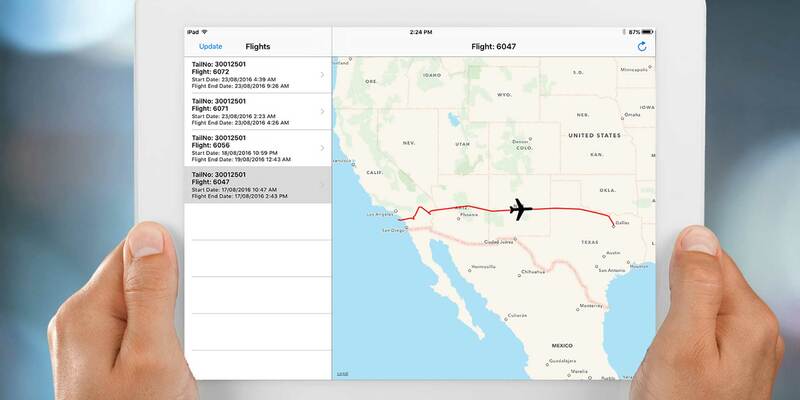 BizjetMobile’s inflight systems use Bluetooth to display on personal devices. BizjetMobile has approached the problem of low-cost airborne connectivity by offering portable Iridium satellite systems that can easily be moved from aircraft to aircraft. There are two systems available from BizjetMobile (Booth M115), the Chiimp device with Bluetooth for aircraft that already have an Iridium satcom installed, and the Chiimp Smart system, which includes the Iridium satcom and Bluetooth connectivity. While Iridium satcoms are currently limited in bandwidth, with a network speed of 2.4 Kbps, they can be used for voice calling, texting and light emailing. But Iridium’s Next satellite constellation is being built now, with launches already underway. This will increase the network’s speed significantly, although new satcom transceivers will be required to take advantage of the higher-speed network. To use the basic Chiimp system, all that is required is connecting the device to aircraft power and to the existing Iridium satcom’s standard data port. According to BizjetMobile, “In some cases, the data port may need to be wired from the satcom system, which is a very simple process and a minor modification.” Chiimp costs $599 per month, and that includes unlimited texting, email and inbox checking via BizjetMobile’s GetMail email system in the Chiimp mobile app. For aircraft without an existing satcom, BizjetMobile offers the Chiimp Smart system, which includes the Iridium transceiver and Bluetooth connectivity in one portable box. Chiimp Smart does require connection to aircraft power and to an Iridium antenna. BizjetMobile sells the system for $9,990 (not including the antenna), and this includes one year of unlimited texting, email and GetMail. After the first year, the service costs $599 per month. The BizjetMobile Konng system is designed to help operators and passengers manage airborne connectivity costs, with a router that connects via Ethernet cable or Wi-Fi to the aircraft’s existing inflight connectivity system. This provides passengers and crew with unlimited texting, email and GetMail service plus instant feedback on how much airborne connectivity service they are using and the cost of that service. This helps eliminate bill shock, according to BizjetMobile, “at the end of the flight, and disputes on data used.” Konng costs $1,000, plus $599 per month. BizjetMobile also includes its Chiimp tracking service for free with any system purchase. The tracking service allows operators to monitor the position of aircraft equipped with Chiimp systems and also view previous flight location data.